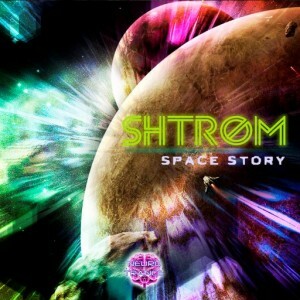 Shtrom is a psytrance producer from Slovenia focused on the morning side of trance. Released by Neurotrance Records, Space Story will hypnotize you with three tracks expressing a wide range of emotional vibes and a deeper edge designed to make you go even further on the dance floor. Expect to hear hyperkinetic beats, sizzling melodies, and space atmospheres on this journey into space! Mastered by Erofex with artwork by La Damaranha. MP3 Download | FLAC Download | WAV Download · Download count: 7,944. Clearly this is one of the best and most beautiful morning trance album I have ever heard. Sheer Quality. WOW. Amazed. Beautiful, beautiful release. Good Job! Просто и гениально! Как в старые добрые времена!!!! Автора убедительно прошу собирать полный студийник!!! THNX!! Keep it coming, luv the style!